Richard Garfield is best known as the designer of Magic: The Gathering, but his resume includes some other impressive games as well. Here are the best games designed by Richard Garfield. For 2 to 8 players (best with 2 players), ages 12 and up. Designed by Richard Garfield, published by Wizards of the Coast. 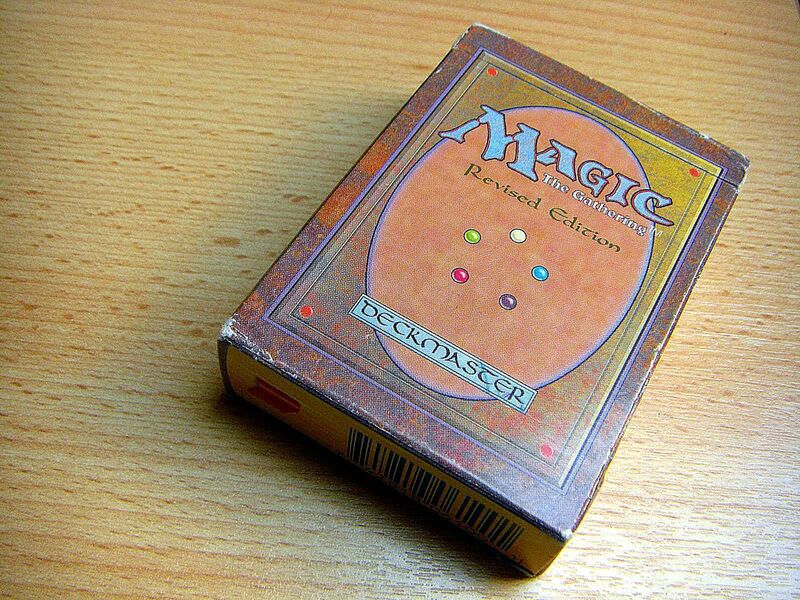 Magic is the mother of all collectible card games, the one that really set the genre on fire. The game is so popular that there is a professional tour for Magic players. The goal of Magic: The Gathering (often referred to as Magic, M:tG or MtG) is to win a duel against your opponent, reducing his life points to zero. Thousands of Magic cards have been published, and players use them to build customized decks for each game. Magic: The Gathering defined an entirely new category of games: the collectible card game. It was released in 1993. For 2 to 8 players, ages 12 and up. Designed by Richard Garfield, published by Wizards of the Coast. Moving robots through a series of checkpoints was never so dangerous. In Robo Rally, sometimes spelled RoboRally, players try to touch a series of flags in order, either working with or avoiding the conveyor belts, lasers, crushers, etc. A variety of game boards provides differing levels of difficulty. This board game was first published in 1994, although Garfield designed it in 1985. It has received four Origins Awards. For 4 to 8 players, ages 8 and up. Designed by Richard Garfield, published by Wizards of the Coast. The faster you get rid of your cards, the further up the food chain you move in this party-style game. It was later rethemed as Dilbert: Corporate Shuffle in 1997, a theme that fits it very well. It was first published in 1995 and won the Best New Mind Game by Mensa that year. It's based on the public domain game, President. The goal is to think like your opponents. Players take turns asking questions, which everyone then answers. You get points based on how many people agree with your answers. It doesn't matter if the answers are correct, just that they are commonly given. It's designed to be played by four or more players. Some people believe that this game is significantly better than Magic, but because of the timing (released in 1996, when Magic was near the height of its popularity) it never really caught on. But if you're looking for a new collectible card game to try out, Netrunner is one to consider. For two players, it is set in the Cyberpunk 2020 role-playing game universe. A new version was released in 2012, Android: Netrunner, by Fantasy Flight Games under license from Wizards of the Coast. It uses their Living Card Game release format. It is set in the cyberpunk universe of their Android game.